The system includes several blocks that can be used to embed the full Affiliates Dashboard or any of its sections on pages. 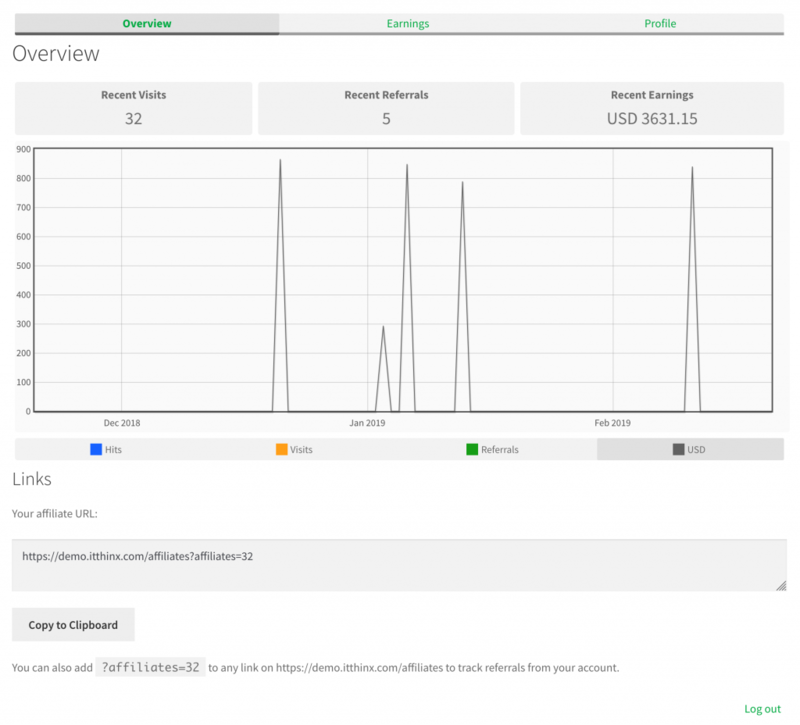 The dashboard allows the affiliate to navigate through its various sections. For visitors who are not logged in, it will render the dashboard section that contains the login form and it also renders the registration section. The blocks for individual sections can be used alternatively, when a full dashboard is not desired in one place. The Affiliates Dashboard block is equivalent to the [affiliates_dashboard] shortcode. Other blocks also have their corresponding shortcode equivalents. 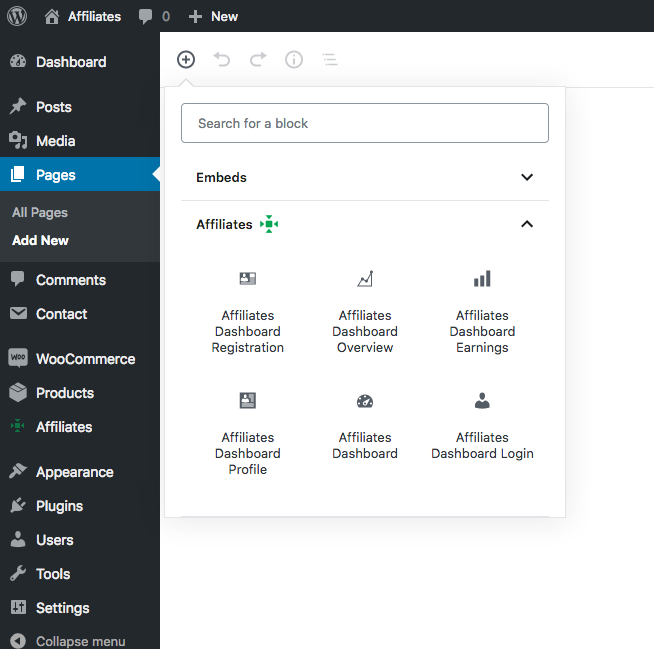 Affiliates Pro includes additional blocks for sections with banners, referrals and traffic. Affiliates Enterprise also adds a block for campaigns.